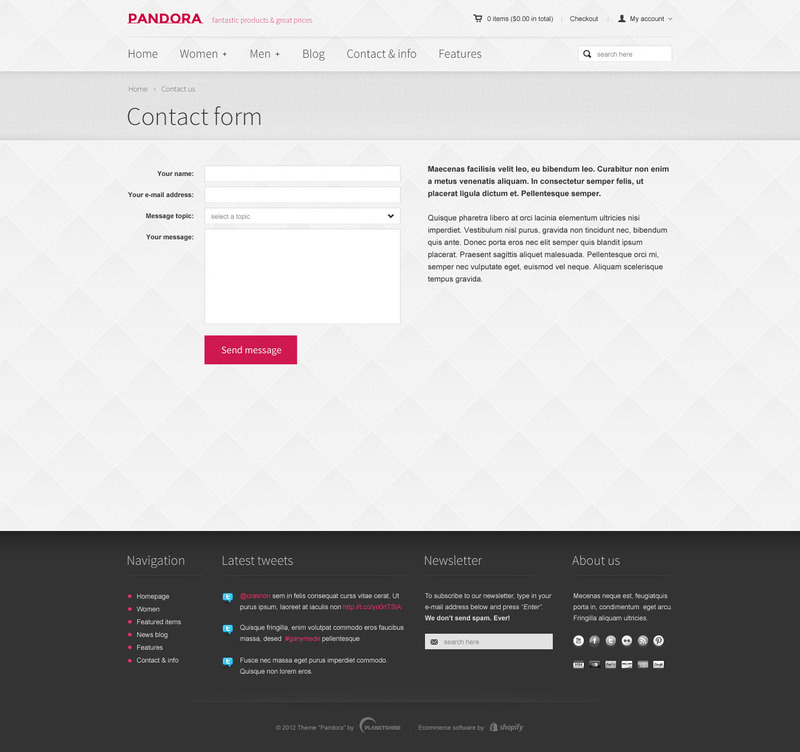 Pandora is fully Responsive theme that’s written with smooth and modern HTML5, it looks and works great on mobile devices, tablets and computers. 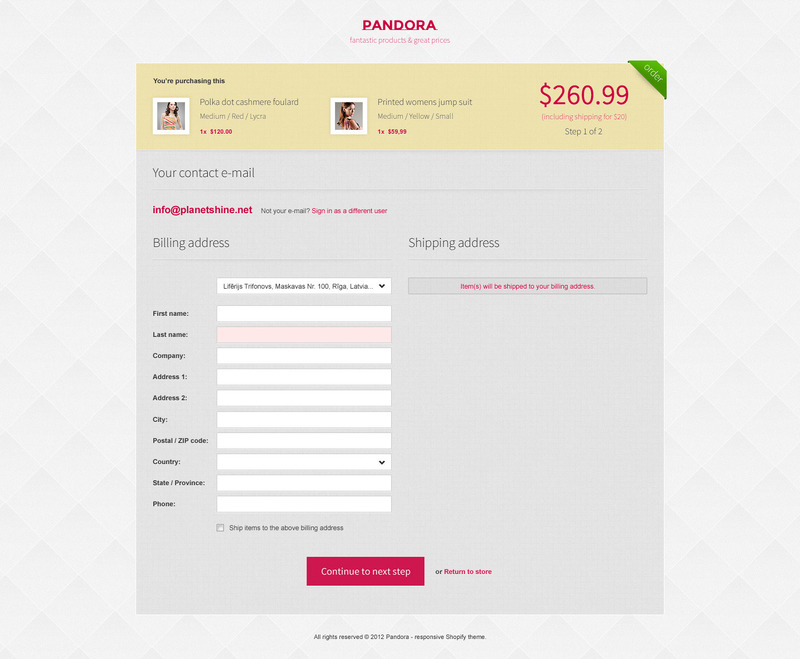 Pandora features a large slider, that will really make your products stand out. Theme is highly customizable, sports unique “quick shop” feature and other great features rarely seen in other Shopify themes. 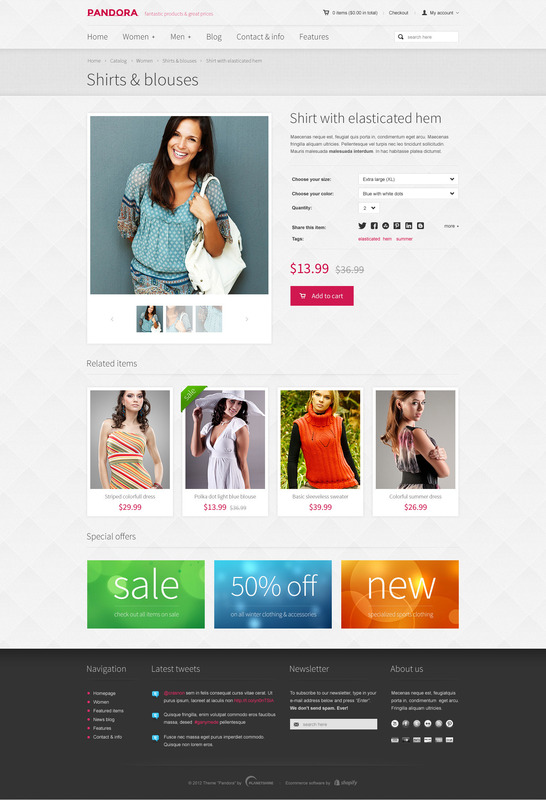 It’s great for selling products of any kind – everything from fashion clothing all the way to computer hardware – will look awesome and sell well. Google Rich Snippets supported – your products will stand out in search results. Compatible with all major modern browsers. Want to learn more? 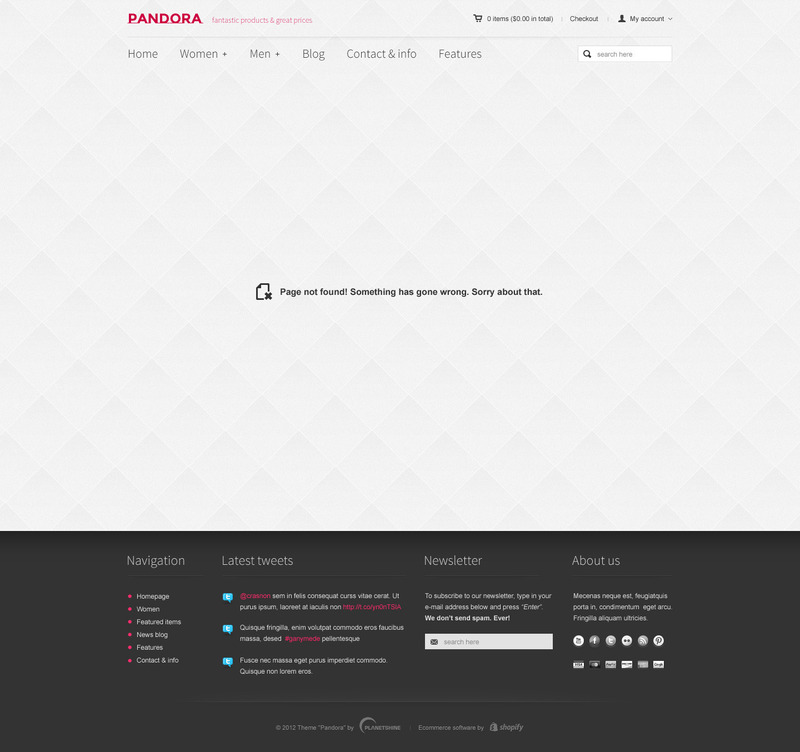 Check out Pandora documentation. * Added custom mobile checkout styling. * Added catalog product sorting options. * Added multiple currency support. 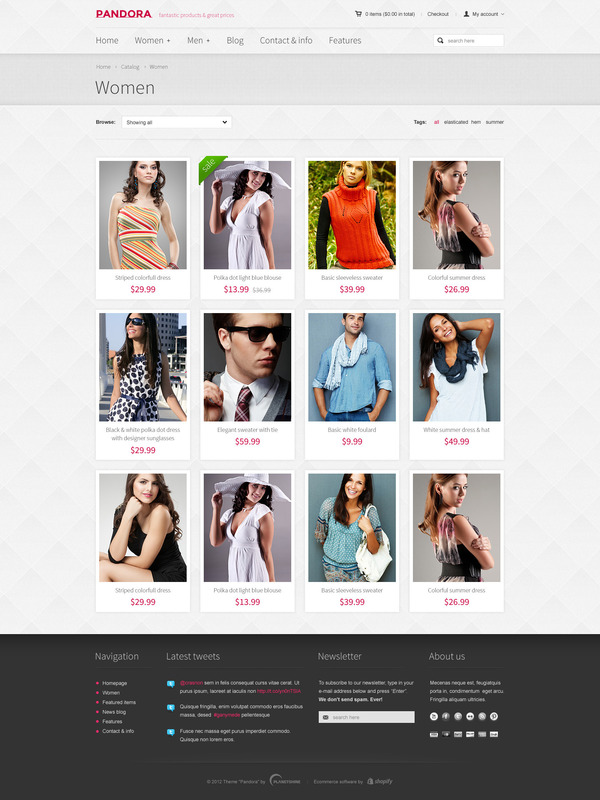 * Added support for Shopify variant images. * Now support Shopify variant deep linking. * Added support for Google Rich Snippets. 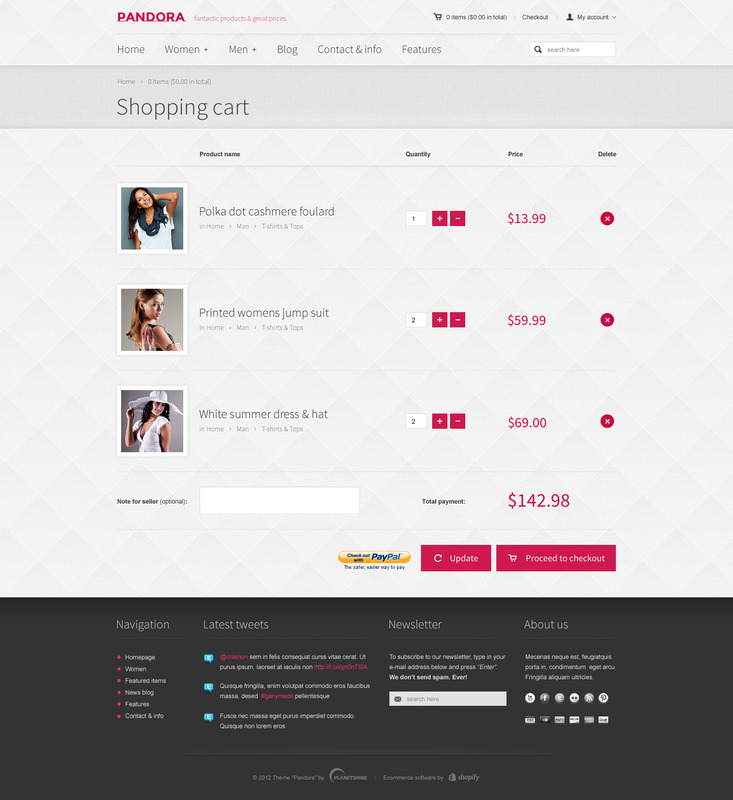 * Improved quickshop - image slider added. 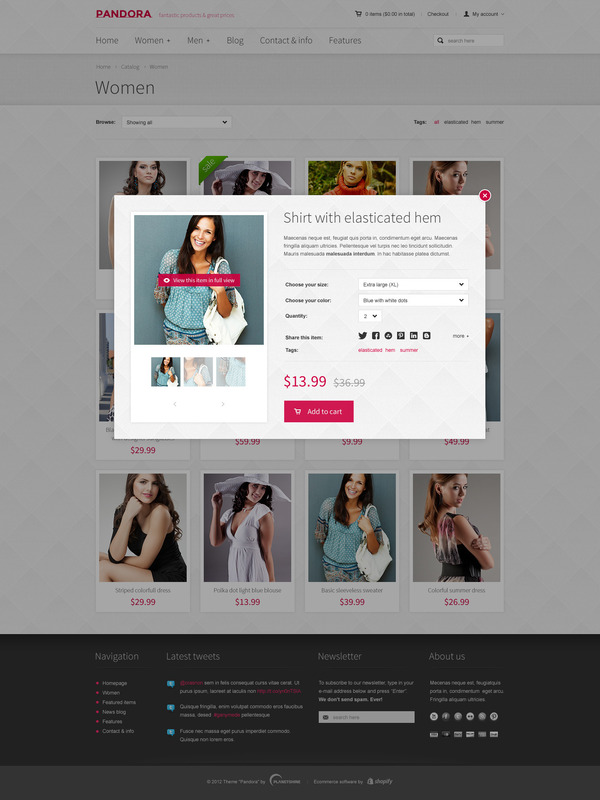 * Carousel for product image thumbnails. * Lots and lots of bug fixes and improvements. * Added a new color preset - Gray. * Added 7 new background images to choose from. * Option in admin panel to manage slider auto advance timeout. * Other minor bug fixes and improvements. * Fixed a bug in quick shop product image zooming. * Replaced the old deprecated twitter feed with a new one. * After popular demand a second level has been added to the mobile menu. 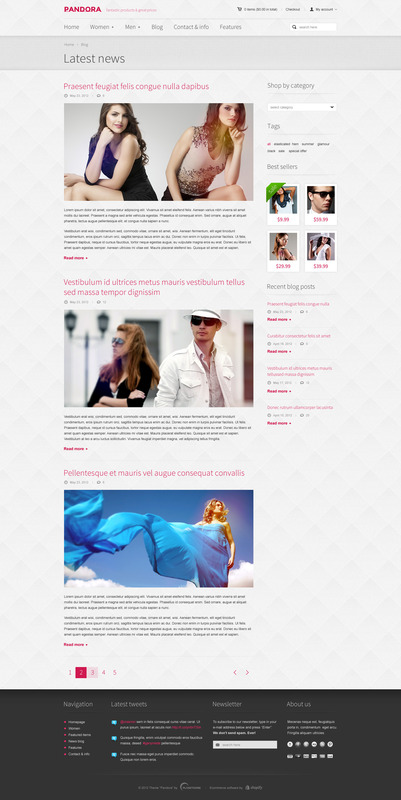 If you need help with this theme, please visit our support forum. Please note that we are located in Europe, so support is available only at European daytime during working days. It may take up to 48h for well detailed response to your problem.